Nearly a year and a half has passed since the last time XBLA Fans got its hands on what Capy President Nathan Vella describes as his studio’s biggest game yet. Capy skipped PAX East this year, with Vella saying the team was too busy advancing Below‘s development to take time off for a trade show. Surfacing again at PAX Prime, it became instantly clear that the Toronto studio has made wise use of its time. 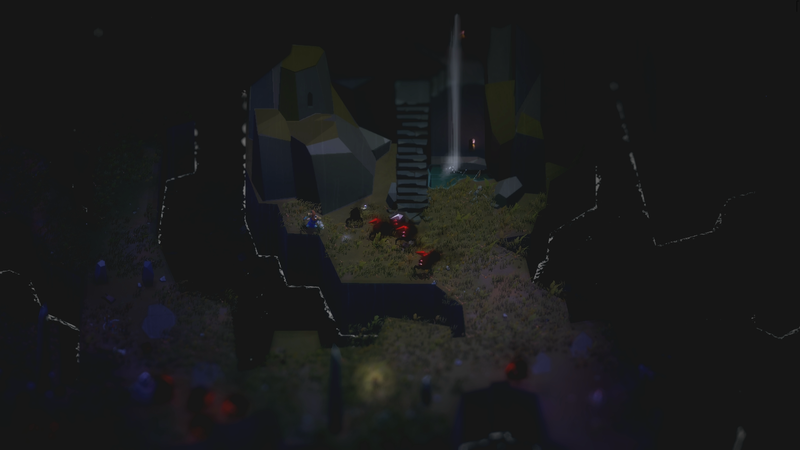 Below, now just “months” away from release, repeated its turn as XBLA Fans’ favorite game demo at a PAX show, as Vella took us deeper into the catacombs of his team’s roguelike adventure than ever before. Our journey in the general direction of the center of the Earth starts roughly the same as it did last time. The player-character has left his boat and come ashore on an island with little else on it but a mountain. I follow the well-worn path leading up to a slit cut high enough into the front of the mountain that it could accommodate creatures many orders of magnitude taller than my disquisitive little adventurer. 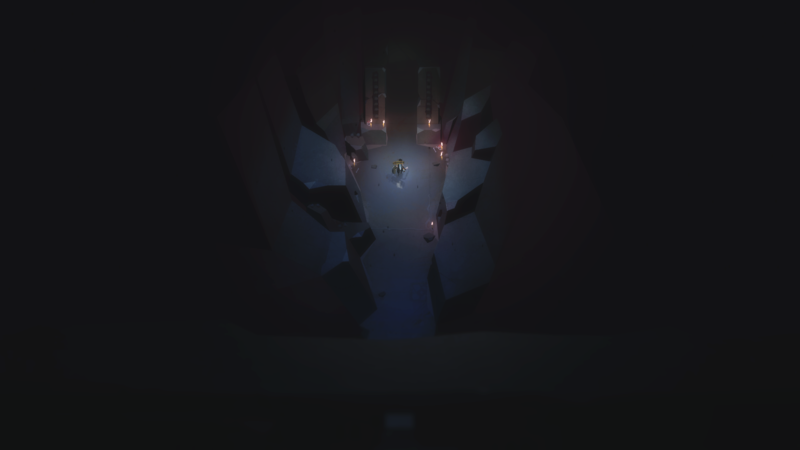 For a game called Below, it’s interesting that your first act is to go up into a mountain. The last time I spoke with him about the game, Vella responded to that observation with a smirk and the truth that one must go up before coming down. There may be something significant behind that seemingly obvious revelation, or there may not be. Capy doesn’t want to tell anyone too much about the island, the mountain or the locals who call its great cavity home. The team wants you to know much about it, but only once you’ve sussed out scraps of information hidden in the depths and developed your own interpretation of what they mean. Indeed, this philosophy seems to extend to every component of Below, not just the story. 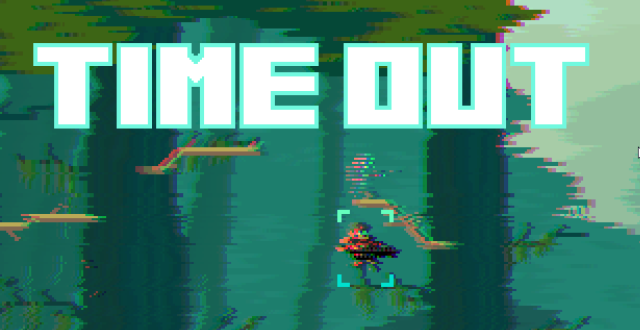 How to survive and carry on spelunking is left entirely up to the player. 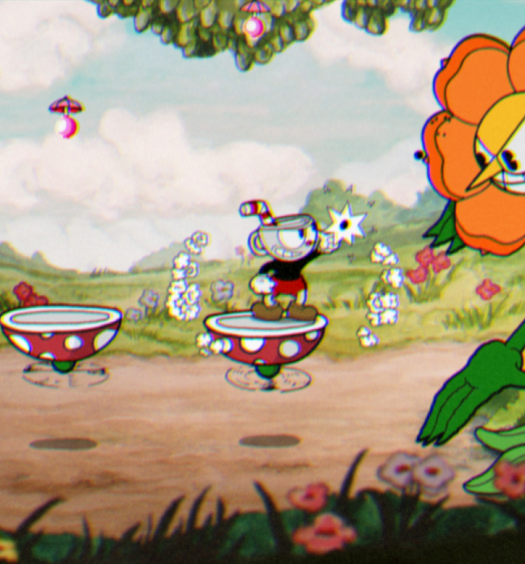 Although it displays a list of basic controls, the game doesn’t explain how best to use them. If not for Vella sitting next to me offering hints I wouldn’t know about attacking while simultaneously blocking with my shield; using bandages to stop bleeding wounds inflicted by enemies; or walking instead of running to avoid springing traps. As was previously revealed, the goal is for players to build off their past experiences. Upon death, you can and should seek out the body of the explorer that preceded you — each “life” is that of a new explorer, not another one of the original’s — and gather his dropped belongings. While there are many secondary weapons and other pieces of gear scattered around the immense cave, there’s one item in particular that you’ll always want to strive to recover: a magic lantern. Aside from lighting the way forward, the lantern is capable of revealing secrets crucial to piecing together the game’s mysteries. Capy has listed The Legend of Zelda as an influence, and it could not show more obviously than it does here. Many Zelda games arm Link with a candle or torch of some sort as one of his go-to items. He can use it to light up dark rooms or to burn through bushes and cobwebs to reveal hidden secrets. In Below, I use the lantern to brighten up a chamber that initially appears to dead end at an empty wall. But the lantern magically reveals what the naked eye cannot: a cave painting. Whether this is a primitive communication from some long lost civilization, observations scribbled by another explorer, a dying message of a hopelessly lost and dying visitor or something else entirely I cannot say — and Vella will not. He speaks of the paintings, but not about them. There is much more than old paintings waiting in the dark to be discovered by plucky wanderers. I don’t get to see it, but somewhere on the island is another beach with a shipwreck on it, says Vella. He expects some players who encounter it to believe it nothing more than a cool set piece. They’ll move on without pondering why it crashed there, where it came from. More attentive players, meanwhile, might stop and ask themselves questions about the vessel. Even then, they won’t necessarily be able to immediately uncover its mysteries. But by processing what they’re thinking and banking the information for later, they may set themselves up to reveal something about why they’re taking the actions they are in the game when they think about the ship within the context of some future mystery. Even then, inquisitive players’ will only have hypotheses. Below‘s story is open to interpretation, but Capy has written a solid narrative; it just hasn’t had anyone write or speak it into the game. Instead, it’s drawn parts of it. 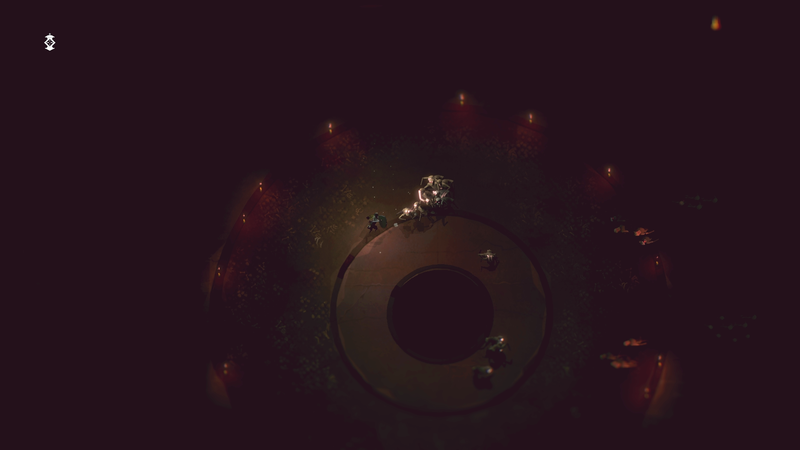 Players have to find visual clues and piece them together into something meaningful. Capy is looking forward to seeing what meaning players find in their discoveries. That story will take players beyond the natural cave environment that was the only playable area in previous demos. My roughly 20-minute play session over, Vella takes the controls for himself and skips the game forward to a section with macabre theme. This crypt-like area is man-made, or at least made by someone. 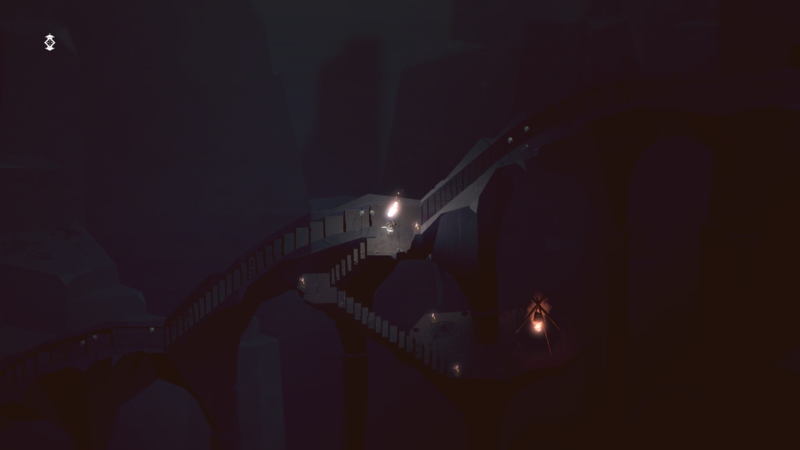 Who exactly did the construction is another of Below‘s many mysteries. The place is full of annoying bats and what looks like the undead, though Vella says they’re some sort of weird “humanoids,” not necessarily reanimated humans. Or are they? I haven’t experienced nearly enough of the game to venture an educated guess as to their true nature. The hope is that those who progress linearly through Below will be surprised when they find themselves leaving behind the wild, unmolested caves from earlier in the game and happen upon these chambers built by, well, someone. Players who’ve paid attention to detail and gone out of their way to uncover hidden morsels of fiction will be able to layer what they observe in this “freaky/shriek-y” chapter on top of what they’ve previously gleaned during their downward expedition. The creatures here look like they could be humans, or at least appear as though they once were humans, anyway. But what are they doing all the way down here? Vella doesn’t give me much time to think about that, putting some of the beings to the sword and making his way to an enormous room where he completes a brief ritual to open the way forward. Unfortunately, the way forward appears to be past or through a pitch black pit, out of which comes clambering waves of the humanoid creatures. Their numbers are intimidating, and they eventually overwhelm Vella, ending my time with Below. Had he overpowered the humanoids, something — he won’t say what — would have happened. Why? “Video games,” he says. In a few months’ time, we’ll all get a chance at deducing what that purpose is.